Apparently, the L5R fans don't know when to just lie down and die and are now trying to schedule and prepare a Winter Court for 2016! In this post, I wish to recruit all the Spider fans who are interested, as well discuss what approach we will go on this fan-made Court. Last time, I believe our delegation was too skewed to a particular type of Spider character, and that alienated part of our player base, while other enjoyed the development greatly. After so much post court discussion, the voting system, the new fan setting that was linked here, I believe we should try to balance our Spider characters so every tenet of the group is well represented and everyone can be happy and satisfied. Anyway, we got a long way to the actual court, so let's use this thread to discuss things up, shall we? I'm quite sure it's the other way around. i'm definitely interested in participating. what kind of spider factions are there? empire loyal? kanpeki loyal? last time around i really wanted to play a Daigotsu theologian but got busy and couldn't swing it. i'd love to take another crack, but i gather that if its empire loyal only, thats gonna be hard to work. Depends on alot right now. As I've said elsewhere right now there are two spider clans in their story. The REAL spider under kanpeki, and a "spider clan" essentially made up of Shiabatsu, some monks, those few empire loyal Susumu that escaped Kuroko and as many random ronin as they could hire. These two are now on complete opposite sides when it comes to the empire and depending on the outcome *read Kanpeki winning* they certainly wont remain a "Spider clan" for long. So alot of it comes down to which Spider will the GMs allow. I spent Winter Court IV pining over the loss of not being able to play my beloved Susumu, so much so that I had Ide Doburu marry into them and bring them quite a few toys in the process. I would like to play the Spider, I would like to play a real Susumu depending on the setting. On top of this I really want to see the actual spider, not a mishmash of various refugees that escaped Kanpeki's immediate wrath. Shiabatsu's "spider clan" ISNT the real spider clan, its the refuge of all those ideas that the old Spider players liked from WCIV delegation liked, I get it, its fine, but the real Spider clan is standing at their dark lord's side, rejoicing over the ruins of Toshi Rambo currently in their story. That is a very clear distinction. Bottom line: If Kanpeki is truly going to become ascendant in Rokugan and reign as its emperor I want to play a true blue Spider Clan character and enjoy the power that comes from it, power and influence Spider has been so easily denied. Goodness the ideas that could be spawned from it, the characters that could be created. 1. Evil Spider, unless given an insane gauntlet to hold over the other clans will of course be piledrived in a 9v1 always. I doubt any scorpion players REALLY want to play the Scorpion loyal to Kanpeki either, rather play the "infiltrating scorpions" that "left for the burning sands" wink wink. They could be like the Imperial Families, where its their court and the consequences for challenging them are sever, but that entirely depends on the directions of the GMs. 2. Villians are difficult, especially in the PvP/PvE style of Wintercourt as they take on both the PvP and PvE spots due to their very nature, and depending on the nature of Kanpeki's empire they could easily be super evil. Which clans would REALLY want to work with them without being forced too. 3. The Shiabatsu Spider and the real Spider cant mix, traitors are just that, traitors... unless there is a huge twist in the story to account for that without just forcing them together. The biggest thing is that we dont know anything. That's really the main thing, until we know what our clan is going to look like for this event its not going to be easy to really drum up support. Tell me what side I fall on, we can talk and plan, until then its just speculation at this point. yeah thats an interesting point i didn't consider. is this goint to be Kanpeki's winter court or the empire's winter court in exile? makes a big difference. We have no clue what's this custom setting is coming along. We will have to wait and see. They cannot mix when Kanpeki is at the throne, however have you ever considered this was by design? The Susumu is standing alongside the Shibatsu clan, and the Susumu Daimyo did so by a warning from Kanpeki himself. It would be strange for Kanpeki remnants consider the Susumu betrayers when they were separated by their own hand. In fact, the entire point of Shibatsu conflict was to co-exist with Rokugan, not to oppose directly Kanpeki. That entire portion of the clan still believed in taking Rokugan for themselves (why else would the delegation/Shibatsu loyalists want to have Shibatsu as an emperor if not to realize the entire point of the formation of Spider as a great clan). Anyway, since we got an incomplete story, this is pure speculation. Right now. all we can do is wait for more info and dance in conformation to the dance. It's just some unofficial fun anyway! When did THIS happen? The last fiction by AEGwas the Halloween special when the Daigotsu burned the Empire loyal Susumu locked within their castle, then having Kuroko leaving with the rest of the Susumu family to join Daigotsu Kanpeki. The Susumu at that moment numbered MAYBE 50ish pre burning total empire wide and the fiction pretty much did away with the "serve two masters" concept as that ended when Kanpeki marched to war against the empire. The rest of the current fictions with this timeline that have come out show Shiabatsu in completely an antagonistic light to Kanpeki's inevitability. Just because they call him "the dark prince" doesn't make him anywhere close to the real deal when it comes to the Susumu. There is no reason to believe Kuroko and the official Susumu family is standing by Shiabatsu's side, in fact the opposite is true. Shiabatsu's "spider clan" are just turncoats who are keeping the name to spite Kanpeki at this point. Its cool and I like the idea that some of the WC susumu are still alive, but when it comes to the Susumu, as far as I can see, the REAL family is waiting on their lord to finish taking the empire by force. We need more info for sure. New fiction for the fan winter court has come out and pretty much, Spider is the "Greatest Clan", the court will be about the clans reorganizing over the winter Dragon Mountains. What exactly are your plans for the Spider? Or better yet, what are your expectations? What kind of Spider would be proper for the game? Due to the Path chosen by the Spider Clan, their situation is an interesting one, as there will be parts to be played by both Spider Clan members loyal to Kanpeki and those loyal to Shibatsu. Our expectations of the Spider Clan during Winter Court 5 are that the Spider Clan players will give both other players and the staff wonderful and amazing samurai drama to remember for times to come. 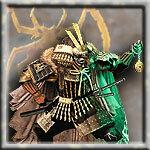 Whether that spells doom or glory for the Spider Clan, none but their players during Court will decide that. We also have a very special surprise in store for them. I urge we get both supporters in. The very chaos and discussion we can get on Shiden Fu Leng alone would put a smile in my face. I'd love to hear what kind of characters you will want to play, in particular the ones who are loyal to the Darkness (I dare not say "Loyal to Kanpeki" because that in itself is another radioactive can of worms). Read here the context and try to create a character concept. The GMs are super approachable in facebook and even if you cannot go there yourself, post here for me to relay your concept to them. Since this is open to the antagonistic side of the story as well, getting a concept "ok'd" in advance would be very helpful and I wish to facilitate this. For the record, this is all going down in the Daigotsu Tsubaki diary of things that may or may not need dying. I'm looking forward to working with you all (some again). And remember that we also have Assistant GM slots that will require filling as well. i'm 100% doing this. i regretted not doing the last winter court something fierce, so this time around i'm gonna make the effort. i think both of my ideas from last time around (a scion of daigotsu shimekiri, and a devout philosopher-priest to daigotsu) still work, with some adapting. Muh Evil, Jigoku lovin, friend! Let us remind the lesser clans of the Emperor's true strength! Since I was a Unicorn last time and denied my rightful place as a Spider I hope to make the Spider delegation this year. My game plan is three fold. Indeed a courtier like Doburu could easily find some value in Shiabatsu's "spider clan". Indeed he might event find some friends among them. More merciful to the petty turncoats then my second option. 2) Play a true blue Daigotsu Bushi, a chosen hand of the Obsidian order and the true face of Shourido's dark power. I'm gunna be tainted and I'm gunna be able to enjoy all the perks that come of the Daigotsu Bushi School. Its going to be glorious. Let all who DARE challenge the Obsidian throne fall to his bloody blade. Did I mention anything about an update with some fiction? Very interested. Loved playing Spider in WCIII, and enjoyed playing my second clan (my original first clan) as Dragon in WCIV. But I really want to exploit the whole ninja/disguise thing with multiple playable logins.... if I can this time around. I said there would be a surprise for both sides. So tainted father versus shourido paragon daughter? We keep things interesting here in the Spider Clan. It's the way we like it. Considering Kanpeki is THE Shourido Paragon I doubt that is any real fight, especially in Onyx edition, with Kanpeki as destined to rule for a generation and all that jazz. Otherwise its just Return of the Sith, samurai version. Everything Haihime knows Daddy learned from Michio himself, plus Kanpeki is far to high up there on the taint levels the way his ascension has been shown. Sora only barely managed to survived his encounter with Kokujin Kochika by running and Suikotsu failed to really embrace the power of Jigoku so she's going to have to face far stronger foes and get some solid allies before she can fight a demi god, especially one that is THE example of what her teachings truly are. I cant wait for that reunion But she IS A Daigotsu/Hantei so she is destined for eternal/infernal greatness in some way shape or form so I'm interested in seeing where this is going as the "raised in a different world/ Rebellious freedom fighter" angle has a solid foundation with her! I just hope that you guys are keeping the pure white eyes on Haihime like her daddy, that is always the coolest part about Kanpeki visually and would be cool to see passed on. You know those traits, the white hair and eyes, are never actually described in any of the fictions. Looks like someone is having their time in the spotlight. Assistant Game Master applications are now open! very excited about this. Kanpeki's blessing is really interesting. making all the spider walking time bombs is fascinating. especially the ones who don't have overt physical mutations. unless they chose to discuss their level of taint, the other players will have no idea what kind of monster they are talking to (or offending). What's even more exciting are our Assistant GM applications!